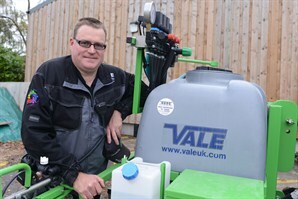 Andrew Kerr has been recognised as the UK's top amenity sprayer operator, in the inaugural Amenity Sprayer Operator of the Year Awards. 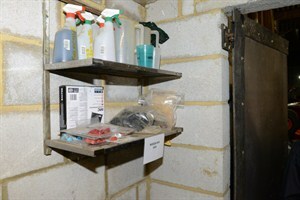 Course Manager at West Malling Golf Club in Kent, Andrew has shared his experiences and Top Tips for best practices to make the spraying process easier, more accurate and, ultimately, safe. Andrew has checked the water volume marks of the sprayer tank are accurate for the amount actually put in the tank - some tank gauges can be inaccurate or difficult to read precisely. The sprayer is always parked on the same level area for filling. Best practice is to fit a flow meter on the water filling hose, to check exactly how much is going into the tank. That's particularly important if the area to be treated often varies, when selectively treating just a few susceptible greens for example - see the Top Tip below for measuring greens area. 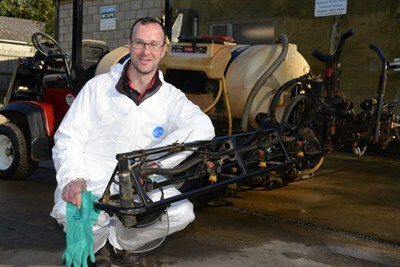 Andrew's sprayer is regularly serviced to keep it in good condition. Although the machine is several years old, a good operator is still perfectly capable of achieving very high levels of accuracy, providing wearing parts are replaced when necessary. 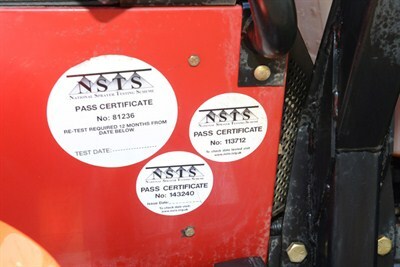 Annual NSTS certification checks it is all working well. 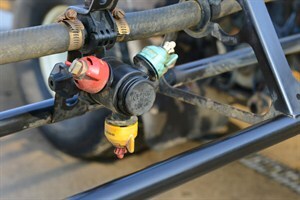 Auto-rate controllers that adjust application rate to forward speed have helped immensely with improving spray accuracy. Checking they are functioning correctly is an important element of the maintenance and calibration regime. Forward speed can be checked using a free app on a mobile phone with GPS - which is a useful tip if you haven't an accurate speedo on the sprayer. Nozzle selection is a critical part of accurate application, delivering the appropriate water volume at the required speed to hit the intended target. Andrew typically uses a water volume of 200 l/ha for foliar applied products, such as Primo Maxx or Instrata fungicide, whilst soil uptake nutrients would be applied at up to 600 l/ha to penetrate through the sward. Syngenta Turf XC Nozzles produce the optimum spray droplet spectrum and reduce the risk of drift loss. Nozzles are checked regularly for output and pattern, and the whole set changed with any sign of wear. Complete spare sets of nozzles, along with other spare parts, should be readily accessible if required. 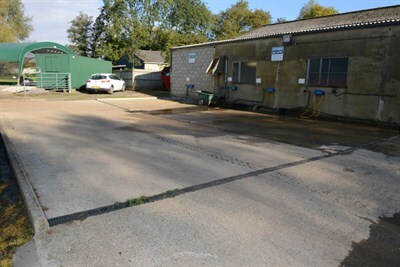 The concrete pad filling and wash-down area at West Malling has a self-contained draining system, with any rainwater or washings from the area collected and pumped through a bio-clean system. There is no risk of spillage or residues reaching the groundwater. Gates are shut off to prevent any golfers or public entering the area during the filling process. The filling area should also have a spill kit readily to hand in case of concentrate spillage. Sawdust is good, but even better is a bag of cat litter from a pet store which is highly absorbent and holds the liquid; it can be swept up with a dedicated dustpan and brush and put in a labelled plastic bag for disposal. 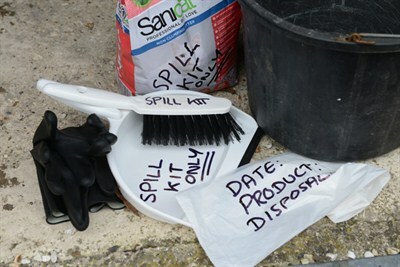 A dedicated spill kit costs less than £5, but could avert a serious problem from a spill. 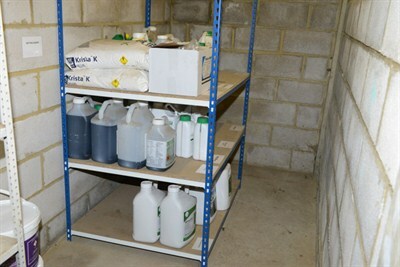 West Malling's chemical store has really good clearly labelled racking that keeps bottles off the floor. Stock is rotated to ensure part used product is used up and any older product used first. Syngenta products are date stamped at bottling that helps with store management. 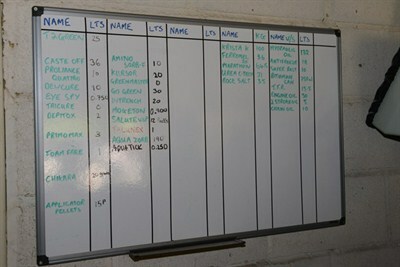 A whiteboard keeps an up to date stock list of what is in the store, including part bottles. It is mounted on the wall outside the store, so there is no need to open up to check what is inside. Personal protective equipment (PPE) is kept easily to hand. 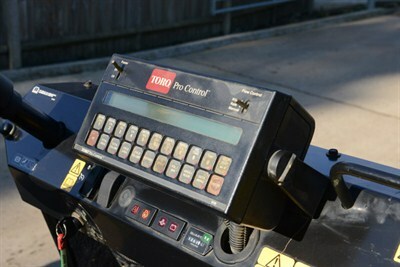 If there is more than one operator, it is convenient to have a dedicated set of equipment of the correct size. 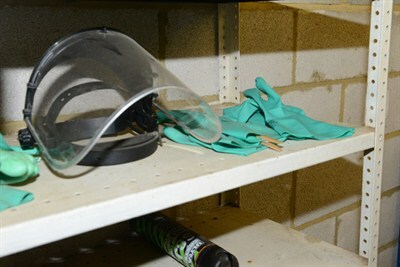 All staff should be aware of PPE requirement for handling any pesticides used. Knowing the area you are spraying is essential in calculating tank mix requirements, and for checking the accuracy of application rates. Courses can be professionally mapped, but GPS technology such as a Garmin and even an app on a mobile phone can give excellent results. 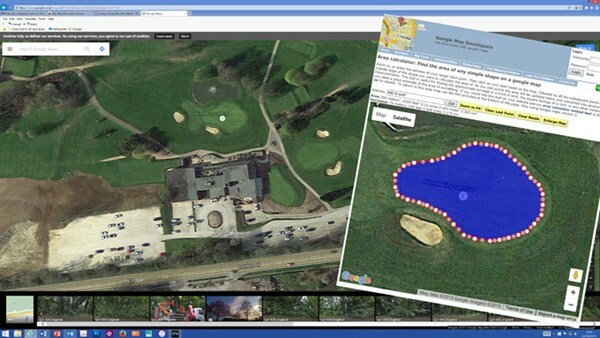 You can also accurately calculate areas from Google maps and free web software. 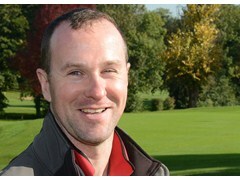 Runner-up for the amenity turf boom sprayer operator of the year was James Wright of Leeds University.Turf Talkwill be visiting James at the Award winning sports ground complex to find his Top Tips and practical ideas for the next issue. The ASOOTY Awards are sponsored by Syngenta and ICL (formerly Everris). Look out for next year's awards for your chance to win.